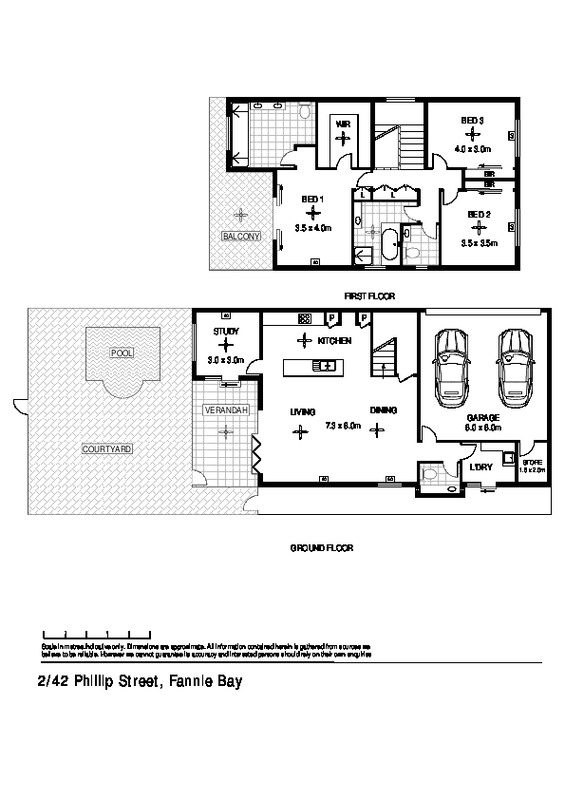 42 on Philip - Discover elegance and free - flowing luxury in the heart of Fannie Bay. Black tiled flooring gives the home an instant WOW and oozes class - what an entry!. Bi-Fold doors open onto the verandah and private, secure courtyard relaxation zones. The ultimate in indoor / outdoor living spaces. 3 bedrooms upstairs each with robe, AC and tiled flooring in a dynamic layout with all of the sleeping quarters clustered together and away from the main entertaining areas for absolute privacy.